Probably the most compelling reason for the new Ingress client is the fact that Ingress Classic is powered by RoboVM, a technology which was used to write apps in Java that could be run on Android or iOS. Xamarin acquired RoboVM in October 2015, and Microsoft, in turn, acquired Xamarin four months later. Xamarin’s Mono C♯ compiler and related technologies interested Microsoft, but the Java tech… not so much. Two months after the acquisition announcement, Microsoft discontinued RoboVM. Niantic had a problem: Ingress would not be able to continue to evolve with mobile platforms while built on dead tech. The Ingress Prime client is essentially a complete re-write on the Unity platform, like Pokémon GO. This allows it to continue to grow as mobile technology advances. This update allows Niantic to unify code that is common between Ingress and Pokémon GO. This means that some improvements will benefit both games without duplication of labor. For example, instead of building GPS improvements or anti-cheating code for one game or the other, Niantic can build them into the core AR engine, and both games benefit. Being Niantic’s first game, they inevitably made some decisions during development that, given the chance, they’d do differently today. 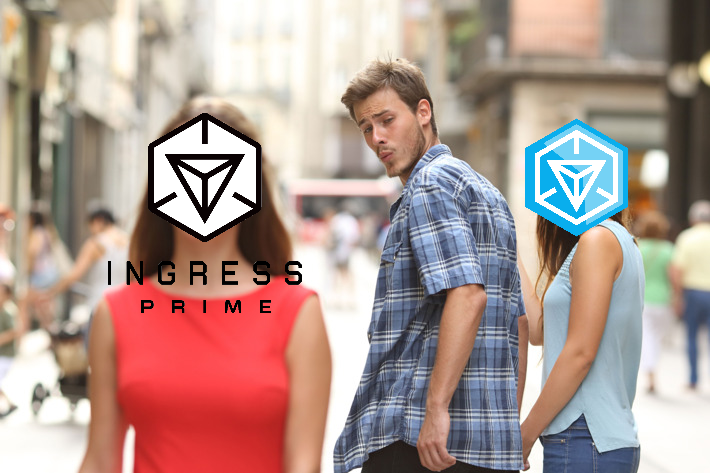 Well, Ingress Prime is that chance. The code base is five years old; certainly they want to update things. They’ve made their mistakes with Ingress Classic, learned from them, and tested them out in Pokémon GO. They have a bigger development team this time around. 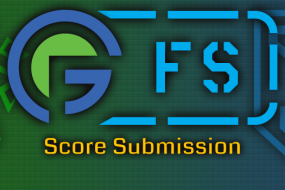 This is Niantic’s opportunity to produce Ingress as it was intended to be. Though we have come to love Ingress Classic’s relatively simple UI, we must admit that it does little to catch the eye of the modern mobile gamer five years later. The somewhat perfunctory tutorial doesn’t help matters. A shiny new client is an opportunity to onboard a bunch of new agents. Bugs will exist in any non-trivial application. The decision to make the first release of Ingress Prime functionally equivalent to Ingress Classic is, in my opinion, a smart move. Completely revamping the app is a tall enough order without introducing new functionality into the mix. 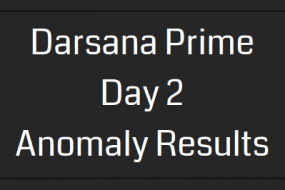 Some may point to Ingress Prime as an instance of the “second system effect,” where developers take a simple, effective, successful system, and turn it into a bloated mess. While that’s certainly a possibility, it seems like the advantages of a united code base are too compelling to ignore. Maintaining functional equivalency would also serve to curtail some bloat, at least in the short term. 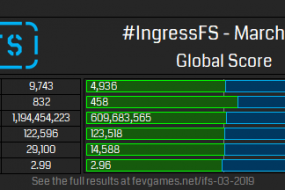 We all want Ingress Prime to be amazing. Time will tell if it will be. is a husband, dad, code monkey and alleged grown-up. His favorite games include Ingress, SpyParty, Ori and the Blind Forest, and Artemis: Spaceship Bridge Simulator.